Watch the video from “Rebecca” singing this VERY POPULAR Gospel Song “Bless Somebody”!! You will LOVE this song!! Beautiful music with joyful and encouraging lyrics!! 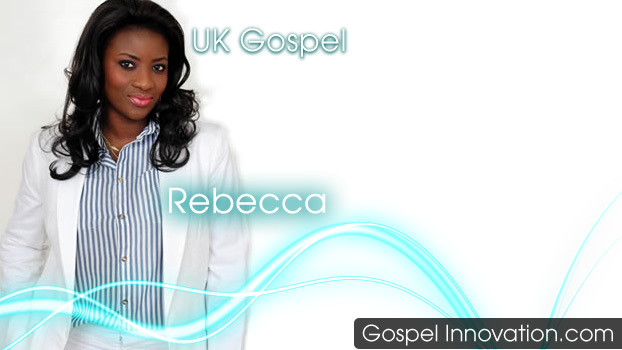 Rebecca is a UK based gospel recording artist, her vibrant an uplifting gospel music brings hope, joy and encouragement to the sick and the broken hearted. Rebecca is at the forefront of an emergent wave of contemporary gospel artistes who are spreading the good news through music. Rebecca was Ms Africa (UK) 2000 and a club and events manager, organising fashion shows, beauty contests and gigs. During her events she will perform secular songs as part of the show. She also raised funds by organising events for various charities in West Africa. IN 2006 the Lord miraculously saved her life when she collapse and lost her life in a London bus due to spiritual attack. She ended up seeking salvation and became born again. She remained in the presence of the lord as she accepted the call in her life and in obedience she has never looked back, and continues to serve the Lord. Rebecca was asked to “MC at a wedding party in a local church and sang gospel songs to help lift the crowd, it was well received. She continued being a blessing to others with her singing in her church and other churches. To satisfy the desire of both herself and her new fan base, she recorded her first gospel album titled “FIRE 4 FIRE” in 2007. This album has strong attachments to her innermost feelings and emotions, full of energy and reflecting spiritual warfare praise. Rebecca believes that through music she can express her emotions, life story and love for the Lord and has devoted her career to gospel music. In 2008 she released her second album “JESUS CONQUER” as a confirmation that the Lord has made her more than a conqueror in the battle of her life. Her message is basic but powerful, well known for her warfare praise songs that helps others to stand in spiritual warfare and battles. She hopes to influence the lives of our young men and women through her music in a positive way that will bring deliverance in their lives. Rebecca has dedicated her life and music to her Lord and saviour Jesus Christ as she continues to ministers in the United Kingdom and abroad. In 2008 and 2009 Rebecca performed at the Oraclez Gospel Concert in London Wembley arena together with top Gospel names like kirk Franklin, Mary Mary, Martha Munizzi, Cece winans and many more. 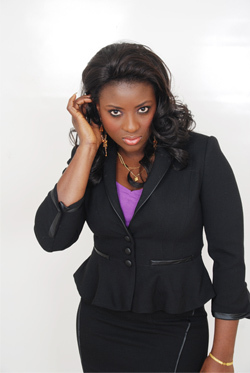 Rebecca has been nominated for several gospel awards and winner at the AGMA 2011 Awards. Rebecca is riding on the clouds of change sweeping across the globe with her music which has inspired and motivated many young people to come to the lord. Rebecca is well known for her uplifting and heavy weight warfare praise songs and lyrics that brings deliverance, prophesy, and healing to the broken hearted destroying the powers of darkness through her songs. Rebecca’s aim is to bring all that is needed in gospel for the younger generation and reconcile them to Christ. OMG I Love This Women So Much Her Testimony Touches Me Aswell As Her Songs.Shes Definately Fulfilling Her Aim By Touching The Youth Because Im Touched And So Are My Friends!! Cnt Wait To See Her At A next Performance She Ministers Anywhere I’ll Be There! Wow! America need Rebecca,s fire. This the making of God, every time I watch rebecca I cry because of her story. Indeed Rebecca you a conqueror get ready to preach the gospel of Jesus . When is the album out? My children love you so much. Be bless. Am impressed with your spiritual growth in music. I love every thing about this young lady of God. Your songs are prophetic and testimonial. You sing the word, I live your fire. I see alot of juinata Bynum in her and I pray that one day you will preach the gospel of Jesus. Gospel innovation is bless by futuring you on this site well done guys, we are here to support you as you raise our end time worriores Rebecca you are so beautiful you blessed me. great job done rebecca.. this will bring many to christ, more grace in jesus name. Rebbeca is truly an inspirational artist. Her music and voice is truly magical! Hey listen to her creative gospel music and u are sure to dance along why not? This website this time they got things right by featuring lovely artist Rebbeca from the UK. All of u out there listen to this gospel music and receive your healing in Jesus Name!. Rebecca,what can I say! U been agreat blessing through yo music. So full of energy and inspiration. I love you and your music.keep goin Bex…many will be touched. well done gospel innovation, i listern to this song every day on radio, have also downloaded it on my phone. beautiful concept put together very inspiring. is rebecca coming to the US anytime soon??? I love Rebbeca’s music, she is truly a blessing. who can praise god more than rebecca does. i saw you in sierra leone national stadium fire for fire conference it was owesome.. well done my sister..